This was originally published just for our supporters, but is now available for everyone. Enjoy! Writing a large MMO like World of Warcraft is a collaborative exercise that exists in a format unlike any other. Movies are collaborative, but generally have a designed and engineered stop point — even with the advent of cinematic universes, there’s always a sense of isolation between individual films. Single player video games, even those that are part of a series, similarly lack the continuous nature of an MMO. As a result, MMO’s are constantly being written and iterate on themselves, with plotlines intertwining and branching off from various narrative moments. A character can be heavily featured for a while only to fade into the background to allow other characters to step forward and take the spotlight. A threat is dealt with, but there is usually some means by which said threat can return in the future, because the endless demand for more game means there must be hooks for more story. One of the results of this kind of narrative is that it must be engineered to provide a scaffold to hang the game from. Events that happen in the game’s story shape the experience of its play — as an example, we can look at the opening of Legion. The deaths of Vol’jin, Varian Wrynn, and Tirion Fordring not only provided us with a narrative sense of the stakes involved, but also shaped the way that we proceeded as we played through the expansion. The effects are felt now in Battle for Azeroth, and the emerging Horde vs. Alliance narrative is at once rooted in the previous storylines and also allows systems that we use such as World Quests to be supported. As a result of this, often story and game must coexist even when that coexistence is uncomfortable. There are elements of gameplay that do not actually exist in the game’s story. Nobody actually has levels in the world of the game, even as we’re all running around gaining XP to add to our level count. 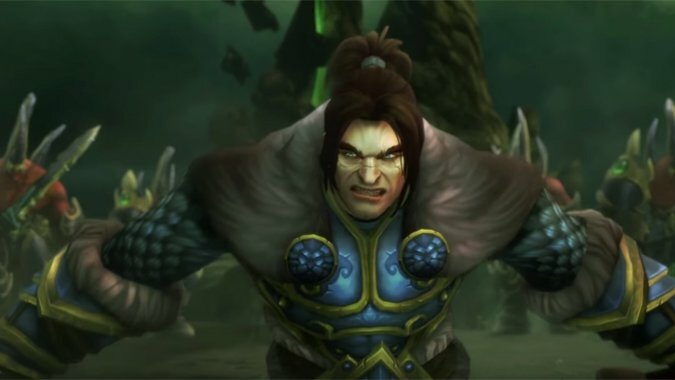 Things like spirit healers and the ability to return from death are primarily gameplay conveniences, because if they were established parts of the game world then Varian would have been merely inconvenienced when Gul’dan killed him. Players often make jokes about this — the infamous “dying in a cutscene” cracks come to mind — but it’s simple the fact that there are gameplay decisions that deliberately aren’t rooted in the narrative, and therefore can’t be part of the narrative. I make these points because often, we as players can be dissatisfied with the narrative for a variety of reasons, and as a result in order to give meaningful critique to the story we must understand what it is, what it is trying to do, and how it is constrained by the format in which it is told. There is a major difference between a poorly told story and a well told story that isn’t suited to our individual tastes. Furthermore, due to the complex nature of MMO storytelling, it is inevitable that it will tell a story you are not interested in sooner or later. Eventually, the sheer volume of its audience and the continuous nature of its task means that characters or events that are not of interest to you will be featured. I had to put up with two expansions worth of Khadgar, after all. I watched Maraad, one of my favorite characters, die half way through Warlords and I am still upset about it. When the story being told isn’t to our tastes, we can certainly make this heard — but if we wish our viewpoint to be useful to those who are making the game, certain methods of expression aren’t useful. You’re free to vent your spleen all you like, but telling the developers that they need to go back to writing classes when they are in the middle of one of the most complex tasks in narrative design imaginable isn’t really very useful. It’s like telling someone who is engaged in the act of building a series of dams to hold back a constant flood that they need to stop everything to read Engineering 101 — they most likely have read it already, or countless similar books, and also, there’s that flood coming and they can’t really stop just because at the moment you’re annoyed that your feet are wet. This isn’t to imply that there can’t be moments of greater or lesser quality in the life of an MMO’s narrative. The problem is that in most cases, these are matters of opinion and so your feedback has to be couched in those terms. An expression of why you’re dissatisfied — giving examples without vitriol — is simply more useful to the people whose work you are critiquing. If the reason you’re discussing their work is simply because it angered you in some way and you don’t care if they learn anything from your perspective, then there’s no point to my telling you that it’s not productive. But if you actually want Blizzard and its writers to understand your perspective — and I guarantee you, whether or not they implement it, they do want to understand your perspective — then there are ways to express it. First, you must be cognizant of the difference between how a story is told and what the story itself is. Something can be told expertly and not be a story you enjoy — there’s a difference between craft and subject matter. So far, I find Battle for Azeroth uses a variety of techniques, such as long quest chains, in-game cinematic moments, story events, and the occasional text from an item in the world to tell its story and it has had some simply amazing moments all told. The problems I have with the story aren’t at all in how it’s told, but in the fact that it isn’t a story I’m enjoying — due to the nature of the story being told over multiple patches, we’re experiencing a tale of total war between the Alliance and the Horde that is at times gut wrenching and it’s making me not particularly want to log in to the game. I don’t want to play it — I find it overly depressing and I leave every patch feeling like my main, a Night Elf Warrior, ends up either losing part of her home or fighting her hardest to accomplish almost nothing. My critique, therefore, isn’t with how the story is told, but the story itself — and my problem isn’t that it’s confusing or poorly told, and it isn’t that I’m annoyed by seeming plot holes that have more to do with assumptions about the game world. My problem is one of taste — I don’t want to play a game where thousands of innocent noncombatants, including children, are murdered by the opposite faction, and then there’s no consequences to the murderers. The story is extremely dark and painful for me and far from looking forward to how it ends, I’m at the point where I’m just waiting for it to end. This is hardly a universal issue, nor does it in any way mean that the writers do not know their craft. There is nothing for me to gain in insulting or belittling their ability. Indeed, in many ways it’s signatory of that ability that I am so affected by the events in game — many a game has portrayed worldwide devastation on a far greater scale than this, but they’ve failed to engage my empathy and my sympathy the way Blizzard has with Battle for Azeroth. The problem isn’t that the narrative isn’t told well. The problem is that the narrative is one that makes it difficult for me to feel hopeful or excited about experiencing more of it. Part of the difficulty there is that, because of its two factions, World of Warcraft often feels like it has a kind of enforced status quo. Neither faction wins, or at least, neither wins in a way that actually accomplishes anything. 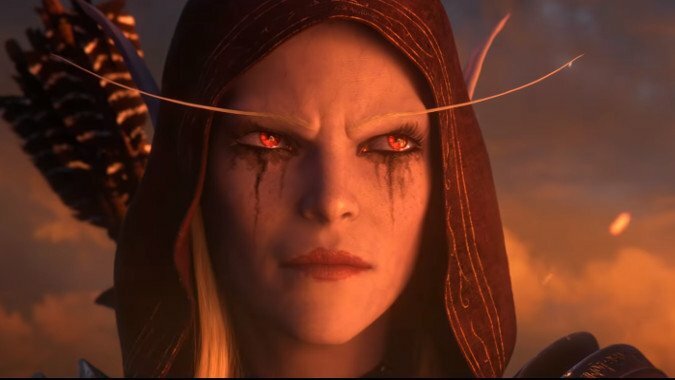 Sylvanas burns Teldrassil, but aside from the slaughter of thousands of innocents, all she’s really accomplished so far is lock the Horde and Alliance in a series of Warfronts that don’t really leave either side with the upper hand. The Night Elves don’t really get revenge in Darkshore — at best, they recapture their territory by killing their own former people now raised into undeath, and then lose it again when the Horde comes roaring back, forever. The demands of gameplay make the narrative an extended, punctuated equilibrium. 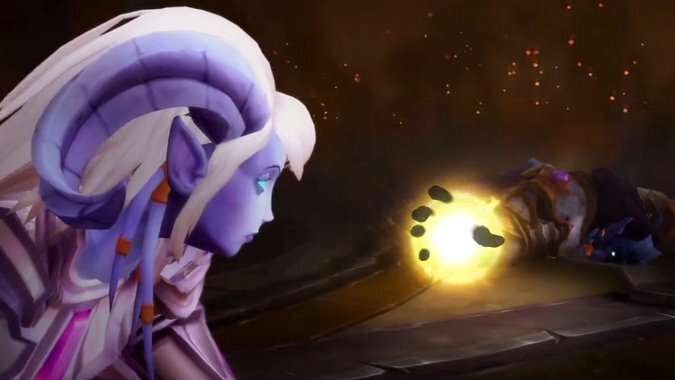 To go back to my criticism of patch 8.1 so far, the Darkshore storyline spends a great deal of time establishing that the Night Elves will finally get vengeance for what happened at Darnassus… but when it comes, it’s extremely underwhelming. I understand that killing a Val’kyr hurts Sylvanas and her plans for the Forsaken, but to my eyes it’s a paltry recompense. Had Nathanos died, then that would have been something — something the Lich Queen cares about, something she’d actually feel the loss of in a personal way. It’s not an issue of the story being poorly told, but it feels very much like a story hampered by the need to maintain the Warfront. Legion didn’t have the same problem because it was engaging in a storyline where both Horde and Alliance player bases were engaged in fighting the same enemy, so forward progress was more possible. When the opposite faction is your foe, in order for you to win, they have to lose — but it’s not fun for whichever side is losing. Even if you alternate wins and losses, you just feel like nothing is happening. Thus the demand of the game that both factions have a story clashes with the story being told — as long as that tension is in place the narrative feels constrained. Again, this isn’t a simple problem and insisting that the writers are somehow inept for not being able to solve it to everyone’s satisfaction is an absurd and even dangerous notion. This doesn’t make our concerns invalid. 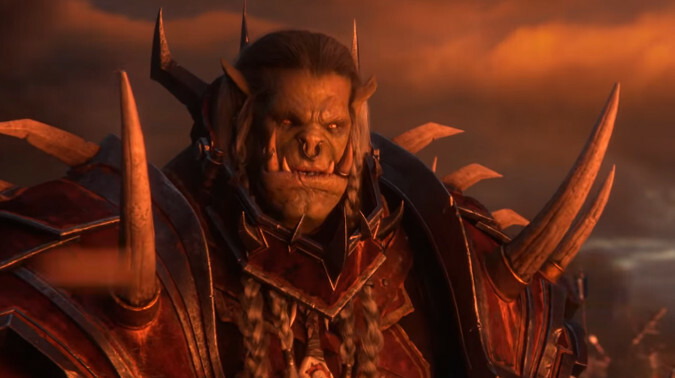 If you’re a long time Horde player and you’re unhappy with the narrative of the Horde’s story so far, you’re not wrong to be so. That’s not a sign of bad writing, but it’s worthwhile to express your opinion of it regardless of it being well done or not. 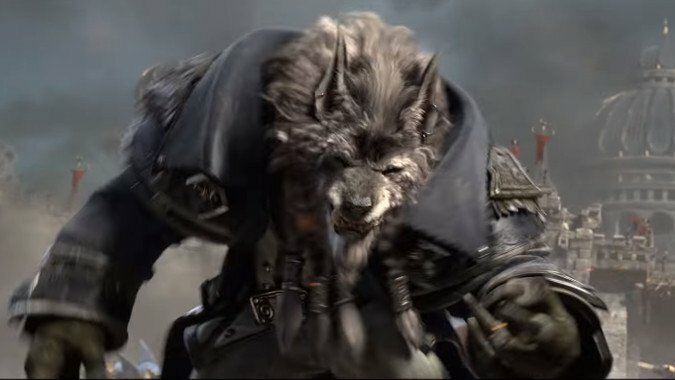 If you feel the story is going somewhere you don’t want to accompany it, Blizzard should be told. A story this big, with this many characters and story hooks and elements to consider, it’s worthwhile to say I am not invested in this. Just always remember the difference between this is bad writing and this isn’t a story I enjoy. You can enjoy bad writing if it still manages to hit those notes that you enjoy, and you can dislike extremely good writing, if it doesn’t provide you the experience you wanted. For now, I’m of the opinion that the hope for a final resolution to the Horde/Alliance conflict makes this middle portion of Battle for Azeroth’s narrative worthwhile. I find it generally extremely well done, so I’m willing to wait and see if the end is worth it. But that’s a personal decision, and if someone else decides they’ve had enough I can’t fault them for it. It’s not a question of quality, but one of the story’s effects.